Waking up one morning only to find that your garage door just isn’t opening is not the ideal scenario. Once your car is locked in your garage, you suddenly realize how much power your garage door has over you, and you shouldn’t like it. Instead, keep your garage door and the garage door opener happy and don’t ever let it lock you in your own home again with these great seasonal care tips. 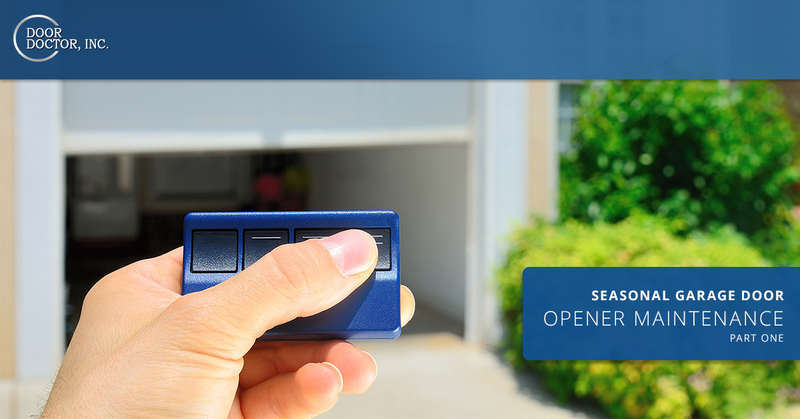 Predicting the whims of your garage door opener is easier than you think. To keep this major appliance happy merely involves ensuring it’s not overworking itself so it burns out. The means lubing up the components of the garage door itself, and most importantly, ensuring the door itself is balanced. An unbalanced door is actually enough to burn the entire garage door opener out entirely and force you to get an actual replacement rather than just a quick repair. 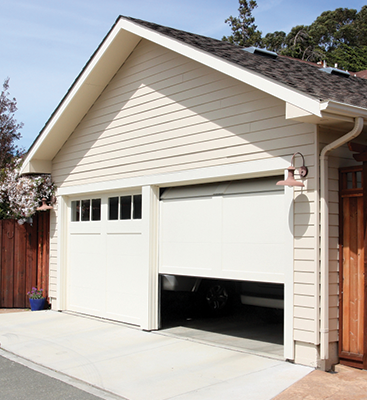 In general, a garage door should be so precisely balanced by the springs that only a couple pounds is used by the garage door opener to open the door. You can test this yourself by pulling your release handle on your garage door opener. Then you can manually lift the door to where it’s somewhere between halfway open and closed. That door should remain in place once you let go without you holding it. If the door slides in either direction that means it’s unbalanced and the springs are likely in need of replacing. Never attempt to work on the garage door springs by yourself, it can be a dangerous procedure that should only be done by a professional. If you own a garage door opener of any kind, it has an auto-reverse feature that is specifically in place as a safety feature. It’s designed to halt the downward progression of the door in any direction, but specifically before it slams down on a person or object. With most modern systems this feature is operated by a pair of eyes near the foot of the opening for your garage door. They operate by shining a laser back and forth between each other, when that laser path is interrupted, they send a message to the garage door opener to open the door once again and spot the downward motion. Other doors measure an intrusion in the walkway — a mechanical feature that senses when the door touches something. You can test either with a piece of cardboard in the path of the garage door. If the door stops when it touches the board and goes back up or if it stops and goes back up when you put the board in the path of the door, you know it’s working properly, if it does not stop, then it’s not working properly and you’ll need to reach out to Door Doctor. Repairing these sensors is often an easy job and won’t require you to replace the entire opener, though it’s an important safety feature on your garage door. 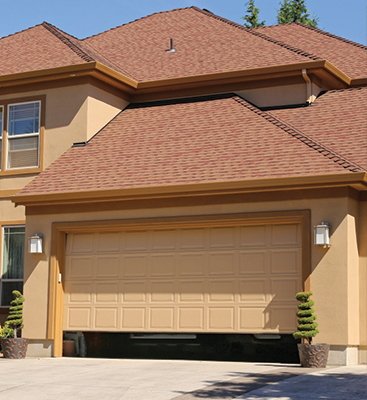 Your weatherstripping on your garage door is bound to go out before any of the actual mechanical portions of the door. It’s the black rubber strip that sees a beating every time the door touches down, and it keeps the dust, cold, and other undesirable aspects of the elements outdoors and away from your garage. We like to recommend checking it around twice a year to make sure it hasn’t sprung a leak or anything of the like. You don’t need a professional to help you get a good seal on your own weatherstripping. It’s sold in huge chunks at the home improvement stores and you can easily cut some to size and apply some new weatherstripping to your garage door if you feel the need to. It’s a no-brainer and will help your garage door opener bring the garage door itself to a stop in a bit softer fashion than it would without it there. 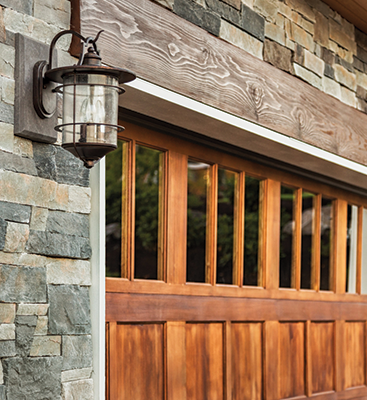 Your garage door may even have weather stripping along the sides. We’d advise you to check that as well, and replace the entire length if the striping is badly worn as it will make your garage door openers job easier as well. Door Doctor proudly provides premier garage door opener repair to the citizens of Cape Coral to improve the convenience and working factors of their home life. We don’t like the thought of your garage door making you skip work, nor do we like the thought of having your car locked up over the weekend because of a faulty spring or something of the like. Don’t concern yourself with buying a bum garage door opener model. We’ve got you covered, we can find your parts, better garage door openers and repair your garage door opener with considerable skill. Contact us today if you think there’s anything wrong with your current model before it’s too late and it malfunctions.